— You could still win $1000 to shop at Hinkley Lighting! Details here. — We’ve always been a bit more “DI-Buy” than DIY, but after seeing how Emily Henderson revamped this $20 thrifted chair, we’ve got second thoughts. It turned out amazing! — Color lovers: please take note of Missoni’s new home collection at Amara. It’s a dream! — Have a fiddle leaf fig tree that’s on the brink of disaster? You can bring it back to life! Here’s how. — One of our favorite fashion influencers has launched her own online home store! Happily Grey Home is a thoughtfully curated selection of home accessories that are beautiful and of course, fashion-forward. — We’ll be planning our spring wardrobes with Rough Linen’s new collection in mind! So many lightweight and ethereal pieces, perfect for the warm weather ahead. 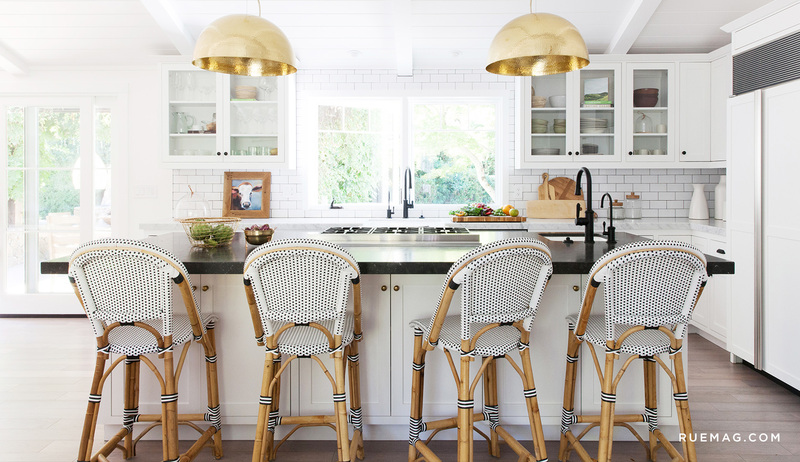 — Finally, step inside whimsical Los Angeles home that has inspiration around every corner.